Rytas pick against unicaja was one of the best in today's game. Unicaja flight and land in Lithuania just this morning and will not have enough time to rest. Vilniaus Rytas are playing good at the moment and surely they are stronger than in the previous seasons. Big expactations from fans and their arena today should be almost full. Although odds are already crashed I still see value with @2.00 at the Pinnacle with Rytas win. Rytas are going to Malaga without their main and key point guard Chris Kamer. I think that Unicaja are able to win at least with double digit. They are good team and at the moment they propose the basketball style that it's not comfortable for this new Rytas team. The Eurocup finally hits the knockout stages and we have all four Quarter Final 1st leg match ups on Tuesday evening! Here’s some betting stats for all 4 games. Unics this season have covered 62.5% of their total point overs in the Eurocup (5-3). Total given for this game is 150.5 which is actually the lowest total Unics will have all season long. The closest that they’ve had a total to 150.5 points at home before in the competition was 151.5 point total against Torino which they covered easily in a 92-78 win. Lokomotiv Kuban are very good at covering total point overs on the road themselves at 71.4% (5-2) in this competition. Lokomotiv have had a 150.5 point total on the road before and that resulted with an under against Asvel in a 72-61 loss. The Eurocup Final is here and we have the first leg as Valencia host Alba Berlin in hopes of getting a 1-0 series lead! Valencia have covered 40% of their total point overs at home in the Eurocup this season (4-6). The total for this game is 161.5 points which is a total that they’ve had once before at home against Unicaja which resulted with an Under as Valencia won 85-74. Valencia are 0-2 at covering overs in the Playoffs at home in the competition. Alba Berlin have also covered 40% of their total point overs on the road in the Eurocup this season (4-6). They’ve also had a 161.5 point total once on the road which was against Partizan and it ended with an Under as Berlin lost 78-66. Alba are 1-1 at O/U in the Playoffs on the road this season. 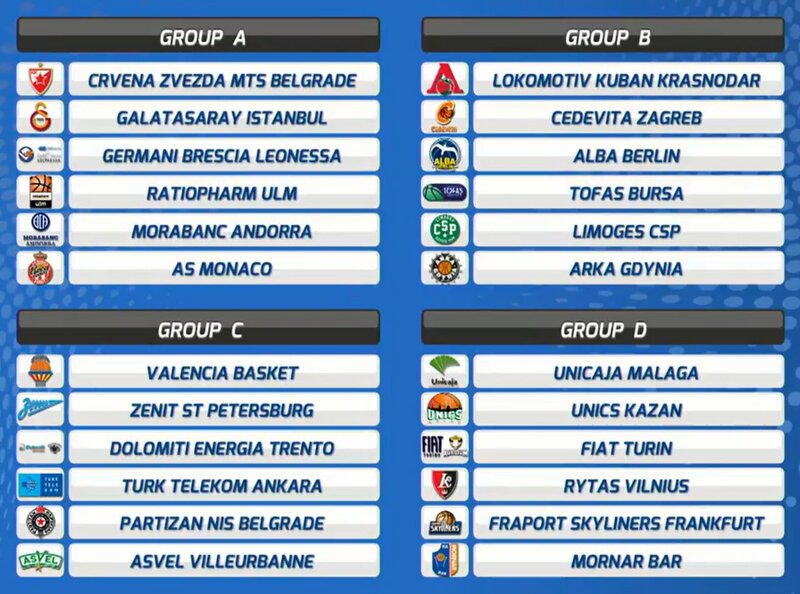 The 7DAYS EuroCup is evolving into a broader portal to the Turkish Airlines EuroLeague, as it was confirmed on Friday in Berlin. Per EuroCup: Euroleague Basketball executives shared the organisation’s vision on improving the integration between the Turkish Airlines EuroLeague and the 7DAYS EuroCup, which would include broadening the access from the second to the first with a second team having access to the EuroLeague every season, as well as creating mechanisms so that one of the two teams that would qualify for the EuroLeague have the opportunity to remain in the top-tier competition for more than one season based on their sports performance. 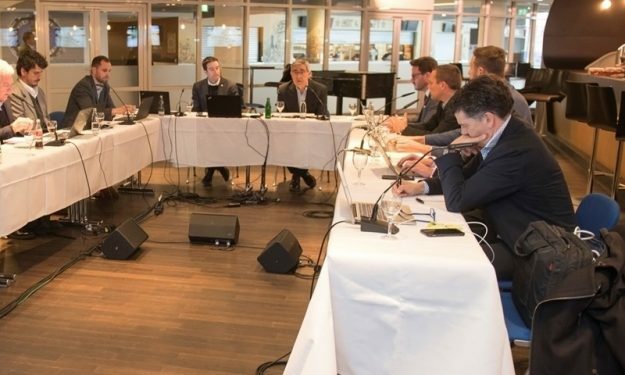 Euroleague Basketball will continue working towards presenting a formal proposal to the EuroCup Clubs Meeting and to the ECA Shareholders Meeting in July 2019. EC Board members include ALBA BERLIN Basketball team GmbH, Galatasaray Spor Kulübü, Limoges CSP s.a.s.p., Asociacion de Clubs de Baloncesto, Jadranska Kosarkaska Asocijacija – ABA LIGA j.t.d. and the United Basketball League.